When it comes to learning to read music the more material the better. Whether it be classical, jazz, rock, or bluegrass read as much as you can. By varying style you keep things interesting and cover lots of ground. It doesn’t have to be all guitar music either. In fact, it is often better to read non-guitar music. Why? Well, there isn’t tab or fingerings for one. That forces you to rely totally on your note reading skills. Also, it won’t always fit neatly into one position, which also pushes your reading ability. 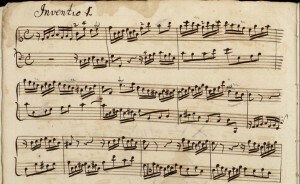 When it comes to scores to read there is one amazing online library you should check out. It contains 82,000 scores, all available for free! It sounds too good to be true, but visit it for yourself. 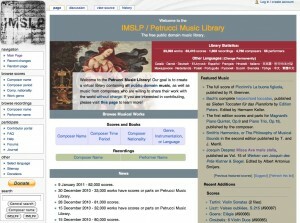 It’s called the Petrucci Music Library, and is a collection of public-domain scores. 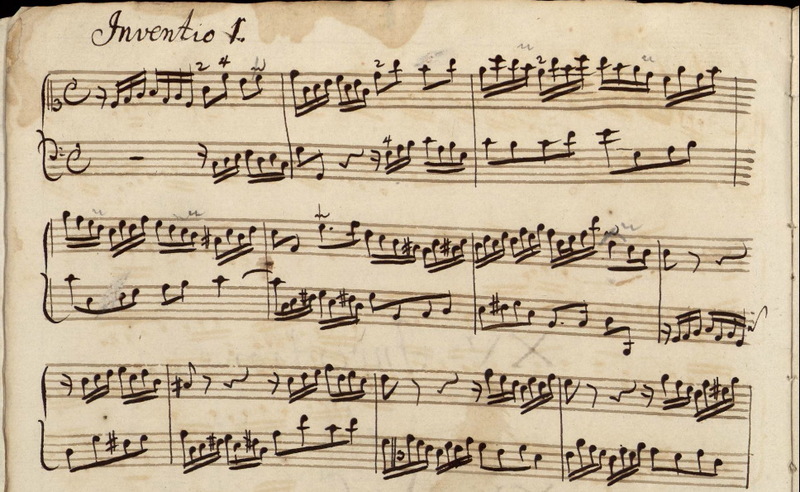 It’s all classical music of various sorts, and there is tons of great stuff to sight read. Start with the Bach Inventions or Paganini’s Caprices, and then feel free to try anything in there. Piano works provide a great challenge since there are multiple parts. Flute and violin are usually single line (one note at a time) but often the range is greater (higher pitches). You may find that you need to read things an octave lower than written to fit the guitar, but that too is a great challenge! Give it 5 minutes a day and your reading will improve tremendously. This entry was posted on Thursday, January 13th, 2011 at 4:03 pm	and is filed under Tips. You can follow any responses to this entry through the RSS 2.0 feed. You can leave a response, or trackback from your own site.